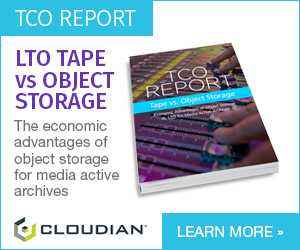 Cloudian’s HyperStore object storage has been certified for use with the File Fabric M-Stream file transfer acceleration technology made by Storage Made Easy. Storage Made Easy is the trading name of Vehera, a UK based company which provides a multi-cloud data management and data protection product called the File Fabric. M-Stream file transfer acceleration is a technology that forms part of the Enterprise version of File Fabric and is designed - says the company - to meet the need for faster data movement by maximizing network bandwidth and providing access to large file assets up to ten times faster. Cloudian HyperStore is said to provide “exabyte-scalable, highly resilient, fully S3-compatible object storage” with integrated file support and cloud connectivity. This combo allows users to merge on-premises and cloud computing to create a single storage pool. M-Stream splits large files into pieces, sent in parallel over multiple streams, and reassembles the pieces back into a contiguous file or object at the target. The idea is to improve the end user transfers to local or remote desktops via native plugins for Mac, Windows, and all major web browsers.